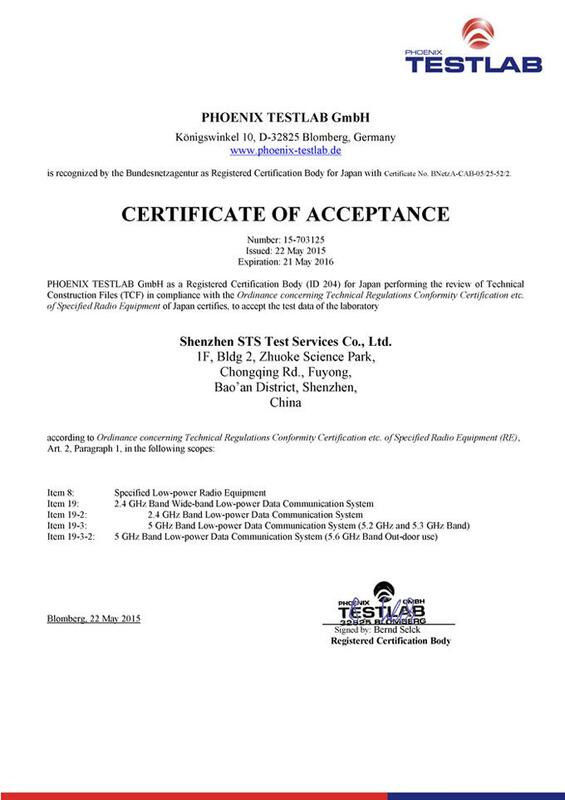 ﻿ Japan TELEC Certification-Asian Certification-Shenzhen STS test services Co., Ltd.
What is Japan TELEC certification? 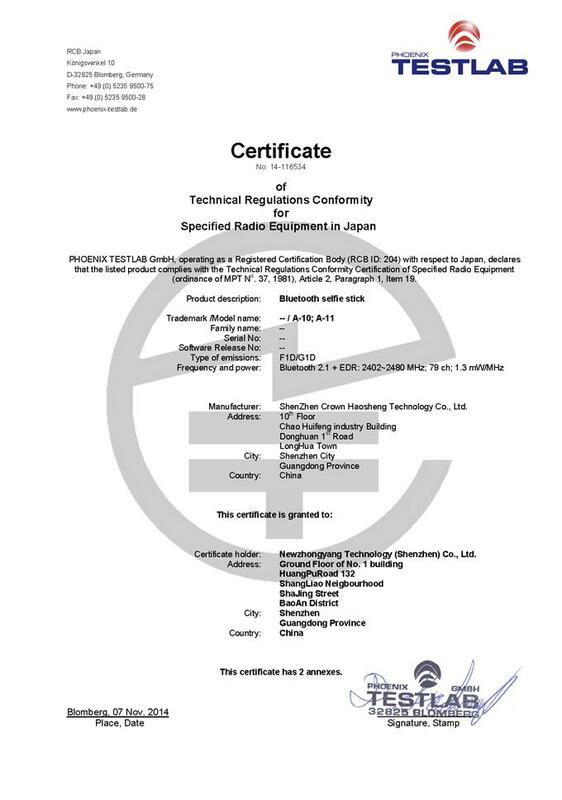 Japan Radio Act requires approval of the type of radio equipment (ie, technical regulations compliance certification). TELEC certification is mandatory, the certification body for the MIC in the designated radio equipment approved by the registered certification body TELEC (Telecom Engineering Center) is the Japanese radio equipment compliance certification of the main registered certification body, TELEC also called MIC certification in Japan, TELEC designated one of the certification authority for the MIC, it is called TELEC certification. TELEC-certified technical standards refer to the classification and technical standards for the specified radio equipment listed in the official online technical regulations compliance certification system. It is noteworthy that these technical standards and radio regulations (Radio Regulatory Commission Regulations) 188 technical requirements are different, the "radio regulations" shall prevail. Type certification means that the same design and manufacture of a batch of equipment to verify the sample, the certification of the batch of equipment are effective, but if the equipment design or manufacturing has changed, the device will need to re-certification. It is worth noting that the use of non-low-power radio stations and their terminal equipment requires a license to MIC. For wireless terminal equipment, in addition to the need for telecommunications business law required for JATE certification, but also need to be required by the radio law TELEC certification. Note: All submitted documents are recommended for Japanese documents, English documents can also be accepted. Test reports can be made using the language used by local testing organizations. TELEC is Japan's mandatory certification for wireless products, some similar to the domestic SRRC. It follows the Japanese radio wave method. The specific test specification is to follow the MIC (Japan Ministry of Internal Affairs and Communications) Notice No.88 regulations, see the following link http://www.tele.soumu.go.jp/j/material/test.htm The update of the test specification is also maintained by MIC to carry out. WiFi and Bluetooth products, the test project is basically the European standard and American standard test method is different. The standard for the 2.4GHz WiFi product (802.11b / g, 2412-2472 MHz) and Bluetooth products is MIC Notice No.88 Annex43, but for the 14-channel (Channel 14: 2471-2497MHz) of the 2.4GHz WiFi product, Using Annex44 for testing and reporting, the corresponding fees also need to increase. For the 5GHz WiFi products (802.11a, 5180 ~ 5320MHz, W52 Band and W53 Band) to follow the test standard Annex45, but it should be noted that the data show that MIC will soon modify Annex45, the 5.6GHz device (Band W56) Is included in Annex 45 and has more stringent DFS testing requirements for Band 56. All of the above specifications are back to Annex 1, so note the contents of Annex 1 when referring to the above criteria. (SIS) as a professional authority of the third party testing agencies and TELEC certification agency, not only has an independent laboratory and a group of experienced TELEC certification engineers, but also for our customers to provide a full range of TELEC certification services , The company signed a mutual agreement with a number of countries, and issued by the report (or certificate), in line with Japanese testing standards, to eliminate your product export trade barriers. If you have relevant TELEC certification test requirements please call us 400-1800-162, we sincerely welcome you to visit our company.